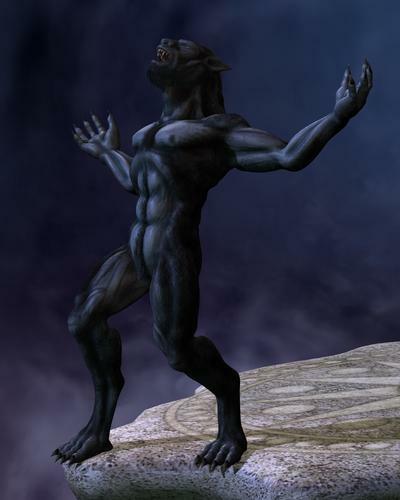 Does anyone know if the MS Lycan for Genesis can use any of the OTHER morphs in DazStudio. For example....can I apply the female morph to it? Can I get the Creature Creator Head pack and apply THOSE morphs to it? Thanks for any help. Need to know before I decide to purchase. I don't have that specific product, but it should work with any other Genesis morphs. Making s female version would be easy. That's precisely one of the points of Genesis, the ability to mix morphs in any combination. And that's all that MS Lycan is, another morph. 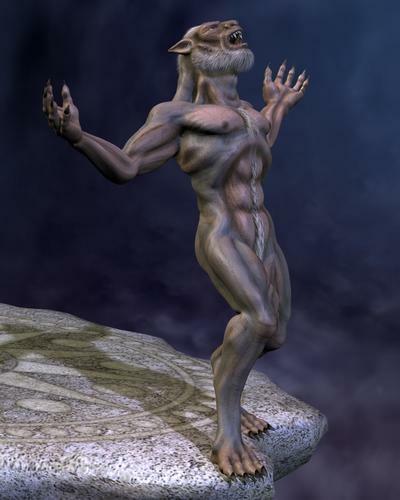 Yes, so long as there's a morph slider, you can add elements of different morphs together. realized she was barebreasted so had to pull her before I got moderated! I was going to say just ask Wendy, but she in there already !!! 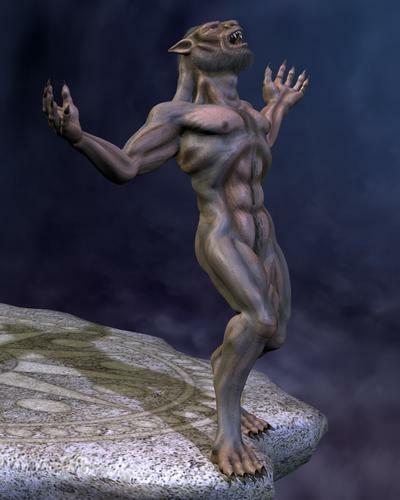 Should the morphs for this work with Poser's DSON Importer, even without .duf files. The morphs show in Poser, but nothing happens when I dial them. They work fine in DS4.5 however. Hmm it worked before I'll have a look ! I've just download the latest version to make sure there nothing wrong with it. Is 1.2 the latest version? I think that's what I have. Yes 1.2 is the latest I didn't have it installed by updated to the 1.2. and Made a DUF file and exported it out to poser it's looks OK here's a render. 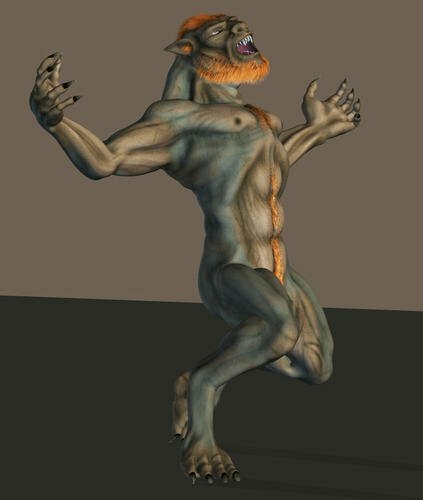 There's something strange going on with the Lycan-Fur but the rest of the fur is working fine and I converted the poses over as well and they worked fine as well. Texture wise only the defuse is coming in. If people are nice I might make up some poser files for you. P.S. I did try the morph with genesis and had no problems so it might be a runtime configuration problem you have. I'll play around with it some more. I remember seeing some mention somewhere about people having some installed Genesis morphs not working. I'll have to try to find it and see what the solution was. Edit: I have to try this, but here's the recommended solution. I will update this post once I try it. 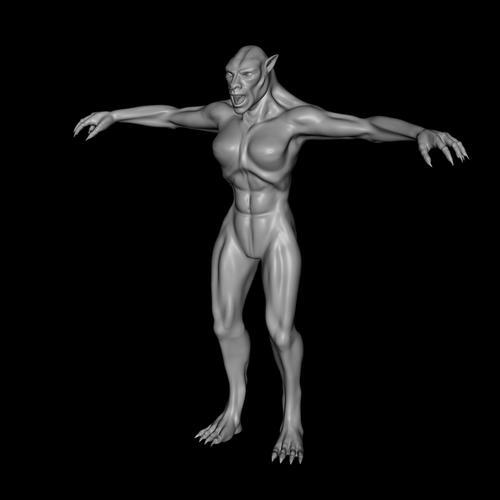 Well have tried it 90% of things are working in poser but only one piece of fur won't work and that the lycan- fur the rest is OK so it would be a full port but you'll have something to play with. When I have something I'll post here. Yes there is stuff missing well I just couldn't get the Lycan-Fur to work, all the other fur is OK. I've opted for 3 presets for the Lycan WereWolf SnowWolf and MoonWolf these load in with the poser mats applied to them a one click operation to make it easy for you. Poses and Mats are working, sorry didn't have time for the eye mats. Thank you SO much! I'll download it in the morning when I'm back on my PC (typing this from my iPad). I'm sorry it proved to be such a pain, though. I got my morphs working now too. I had moved my runtimes and all new morphs I installed afterwards were broken. Had to completely uninstall Poser to get the configuration settings pointing to the right locations. I found the best way to stay out of trouble with the DSON stuff is to add the runtime folder in the DS Libraries folder to poser then it will always find the files it's looking for. Hope it works ! I have the files now, thank you! I'm adding in my thanks for this!!! i dont suppose anyone knows where i can get gen textures for it? tried making my own, but i cant get the abs to line up. Are there any morphs like this for G2?